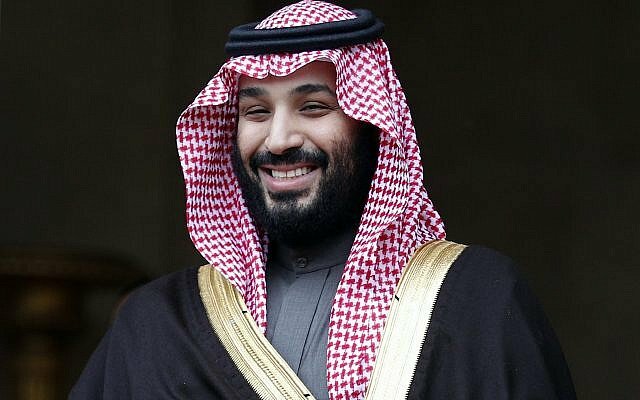 Indonesia will host Saudi Arabian Crown Prince Mohammed bin Salman for a state visit next week, Jakarta said Thursday, part of an Asian tour that includes stops in Pakistan, India and Malaysia. Saudi crown prince #MBS is on India visit starting Feb 19 as a part of Asia Tour which include visits to Pakistan, Malaysia, China. His two-day visit to the world´s biggest Muslim majority country kicks off Monday, the prince´s second official visit to the archipelago, but Jakarta supplied few details about his itinerary. “He will arrive in Indonesia on February 18, and meet the president on February 19,” presidential spokesman Johan Budi told AFP. The crown prince is scheduled to visit Pakistan and Malaysia before arriving in Indonesia and then he heads to India. Salman last visited Indonesia with his father King Salman in 2017 as part of an Asian tour seeking investment opportunities. At that time, Jakarta and Riyadh signed a range of agreements from trade and aviation to boosting cooperation in science, health and fighting crime. They also inked an agreement involving state-owned energy firms Aramco and Indonesia´s Pertamina to expand a multi-billion-dollar oil refinery in the Southeast Asian nation. Next week´s trip comes as the crown prince continues to be tarnished by his alleged links to the brutal murder of Saudi journalist Jamal Khashoggi. The CIA has concluded the Saudi operation was likely directed by the powerful crown prince, but the White House has sidestepped that finding amid strenuous denials by Riyadh.